More than 100 St Patrick's Day parades have been held throughout Ireland, with up to half a million people turning out for the Dublin event. 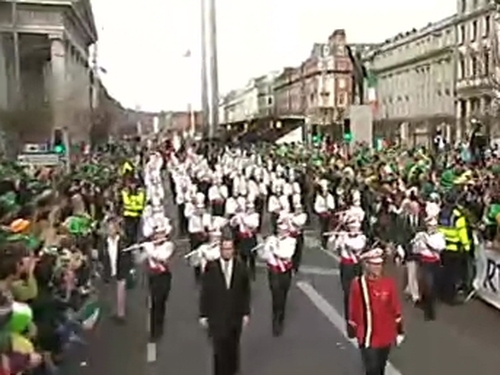 3,000 performers took part in the Dublin Parade, which travelled a 3km route and lasted for three hours. Floats, street performers and marching bands from around the globe temporarily took over the capital's streets, with Grand Marshal Packie Bonner leading the way. In Cork city, an estimated 60,000 people turned out to watch the city celebrate its long maritime history. The Cork event was led by the first Irish person to swim the English Channel both ways, Lisa Cummins. An estimated 40,000 people turned out to watch the parade in Limerick city. 'I love Limerick' was the theme of this year’s parade, and one of the city's great rugby heroes, Keith Earls, was the Grand Marshal. Thousands of people also turned out in Sligo to watch the town's 40th St Patrick's Day parade. In Belfast, after years of wrangling about the St Patrick's Day parade, the colourful event is now supported by groups from both sides of the community and has become one of the highlights of the city's calendar. St Patrick's Day signals the beginning of the tourist season in Kerry and thousands were in Tralee and Killarney for the parades. Delegations from Sweden, Poland, and Bavaria in Germany, reviewed the Killarney parade. A crowd of more than 10,000 people turned out for the St Patrick's Day celebrations in Longford, while sport was one of the main themes at the parade in Tullamore where local hurling stars performed the duties of grand marshal. In Bundoran in Co Donegal, the parade theme was clean and green - new entries included the Mna le Cheile group and Bundoran tidy towns committee. The grand marshal for this year's Drogheda parade was Oliver Murphy, a local man and last surviving founding member of the Irish Wheelchair Association. More than 10,000 people turned out in Munich for the annual St Patrick's Day parade, which took place at the weekend. The parade, which is the biggest on the continent of Europe, was attended by Tánaiste Mary Coughlan and the Irish Ambassador to Germany. 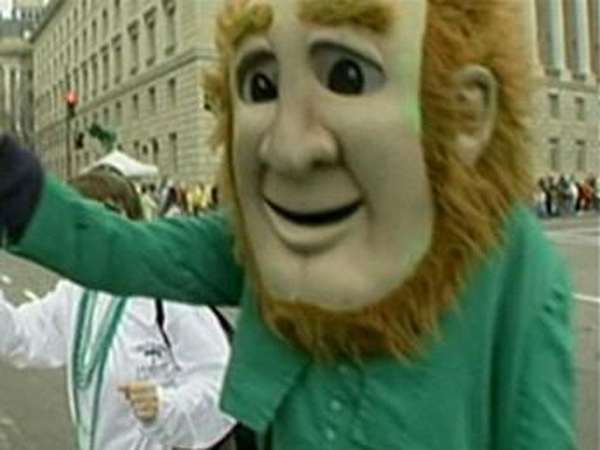 The world's oldest and largest St Patrick's Day Parade took place in New York. Hundreds of thousands lined fifth avenue for the event, which features no floats, but plenty of marchers and music.